If you are going through a divorce in Texas and do not know the laws, it may make an already difficult process more stressful. A divorce can be either contested or uncontested. 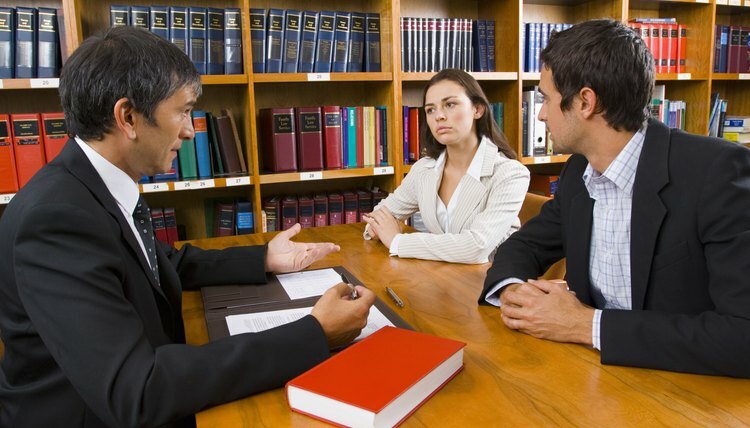 You may think that if both you and your spouse want a divorce that it isn't necessary to file a countersuit; however, a countersuit, or counter-petition, may be necessary, depending on your situation. Understanding how Texas divorce laws work will help you make the right choices to protect your interests. To begin the divorce process in Texas, one party must file a petition for divorce, which is essentially a lawsuit, with the court. The petition alleges the grounds for divorce and requests orders for division of property and custody of the children, if applicable. If your spouse files a petition and then formally serves you with divorce papers, you have 20 days to respond and file an answer, regardless of whether you decide to file a counter-petition. A counter-petition allows you to raise issues not addressed by your spouse's petition. A contested divorce is one in which both parties are not in agreement that they want a divorce, or don't agree on the division of property and/or a custody arrangement. If your divorce is contested, a counter-petition can assert what you believe is the best way to split your assets, as well as the custody arrangement you seek. A divorce may be granted in Texas even if both parties do not want one. A counter-petition does not stop the divorce process; it merely protects your interests throughout the proceeding. An uncontested divorce is one in which both parties want the divorce and agree on custody and property division. In this situation, one party typically files the petition for divorce and the other party signs a waiver, which waives the right to service and does not trigger the requirement to file a formal answer. As such, there isn't a counter-petition. If your divorce starts out uncontested and then the situation changes, you would have to file a petition to amend your waiver, and then file the answer or counterclaim. Temporary orders are standard in all divorce proceedings and govern what the parties can and cannot do during the divorce process until the divorce is final. If your divorce is contested, there may be specific things you want to happen during the waiting period before your divorce is final. The counter-petition can include requests for certain temporary orders that secure financial support and living arrangements throughout the divorce proceedings.